I headed to Marlow's Tavern over in Lee Vista recently to try their Ribs and Whiskey menu. And it was delicious!! The Lee Vista location is new. It's only been open a few months. And it feels like a place where all the locals can get together to eat, drink, and be merry. But on to the food and drinks! The Ribs & Whiskey menu ends on October 17th so you have one more week to enjoy it! I started off with the R&W S'Weet Tea which was Deep Eddy Sweet Tea Vodka, Fresh Lemon, Agave Nectar, Topped with a Shot of Shock Top Beer and a Kick of Orange. I have to admit. If I can taste the alcohol, I don't really like it. But this was delicious! But warning--it packs a punch! I'm also a weakling when it comes to spice. But there were so many cheeses that I had to try it. And the spice wasn't overpowering. In fact, I might have grabbed more after I was done! For a main entree we had the Slow-Cooked Smithfield James River St. Louis-Style Ribs, Granny Smith Apple Cabbage Slaw, Pimento Cheese "Stuffed" Tater Tots & House-Made Sweet Corn and Jalapeno Muffins. The ribs were just as good as I thought they'd be! Delicious! But the surprise was the slaw. I'm not a slaw girl, but this one was so perfectly flavored that I ate it all! We had 3 different sauces to try with our ribs: East Carolina BBQ, Jack Daniels Glaze, and Chiptole BBQ. My fav was definitely the Jack Daniels Glaze. We also got to try the Beef & Buns which was 24 Hour Smoked Beef Brisket Sliced Thin Slathered in Jack Daniel Honey Glaze, Granny Smith Apple Cabbage Slaw and Crispy Tobacco Onion on Buttery Onion Roll. For my second drink, I had one off the Girl's Night Out Menu (which I'll get to later). But it was called the Loco Coco. Loved it! And if we weren't full enough, we had to have dessert! Bourbon Bread Pudding!! I'm not a bread pudding fan so when we were told that people get angry when this goes away, I just kind of shrugged it off. Oh but I shouldn't have. The Creme- Brulee-Soaked Cuban Bread with a Splash of Honey Jack, for Sippin' was maybe the biggest surprise of the night for me. The blogger that I was sharing this with had maybe a few bites before she declared she was done. I couldn't just let it go to waste! So I did my duty and finished it off! There are so many great options and things going on at Marlow's Tavern. General Manager Joel Diaz wants to to be a place that locals look forward to coming to. They have Girl's Night Out every Wednesday which has 3 appetizers and 3 drinks that aren't on the menu for $5 each. And every Friday and Saturday night they have live music. Everyone needs to go try this limited time menu ASAP! It's gone in a week! Come #MeetMeAtMarlows ! 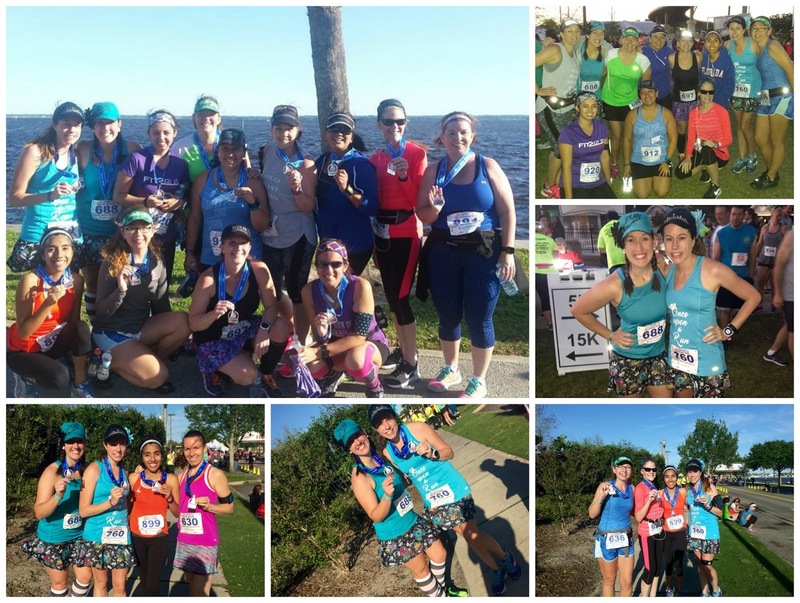 This Sunday, September 25th, Orlando will host the Global Energy Race, which benefits in part the Second Harvest Food Bank of Central Florida. 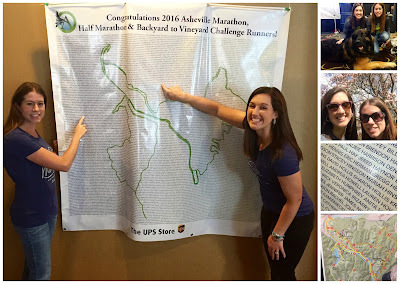 37 cities around the world, in 22 countries, will be participating in this race. Bimbo Bakeries USA, is the US host with 4 cities in America. Runners will be working to "stomp out hunger" as they run. For each kilometer run by each participant, Bimbo Bakeries USA will donate two slices of bread to a Feeding America food bank, or a loaf of bread per 10k. 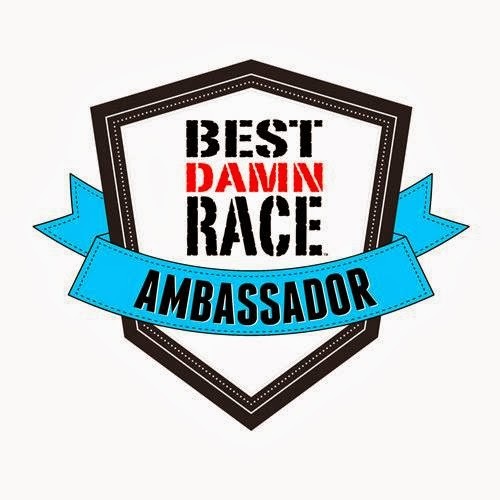 The race, which has a 10k race and a 3k race, will also be a Guiness World Records attempt for the most number of cities participating in the same race on the same day. 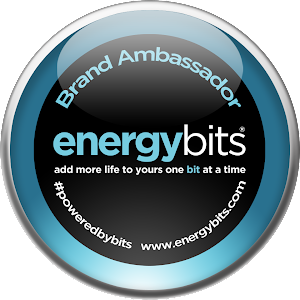 First place male and female runners of the 10k will receive an all expenses paid trip to ANY 2017 Global Energy Race participating city (side note, when I registered, it said that to win the trip, you must be wearing the race shirt at the race. So if you're speedy, make sure you consider that.) Awards will be given to the top three male and female runners in each city. 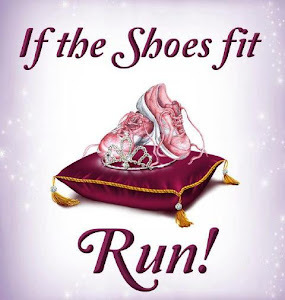 10k runners will receive medals and 3k runners will receive pins. Starting this year, both the t-shirts and medals will be part of a series, with this year being from Beijing. 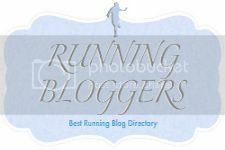 Interested in running for free?? Yes, I just signed up and there was no cost!! Go here to register and use code BIMBOBLOGGIVEAWAY. I'll see you on Sunday--lets "stomp out hunger"!! I started my trial month at Hit Fit. It's a gym that has 10 different stations. I can't really tell if I like it yet or not. Faith and I went to the Studios for some adult fun. We rode roller coasters and had yummy food & drinks! We won our tourney game so we celebrated at Mulligan's. I went to a Central Florida Lady Bloggers Event at Marlow's Tavern. We tried some great items! Faith, Cori, Heather, and I had Girl's Night at Melting Pot. Yum! Then I met Kory and his co-workers at Splitsville. Our house is finally being started! 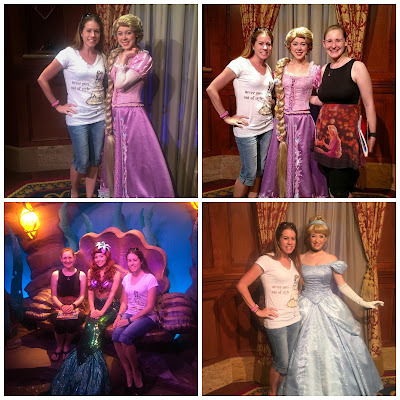 Kory and I met up with Meredith, her fiance, and her mom at Epcot. It was great to see her! 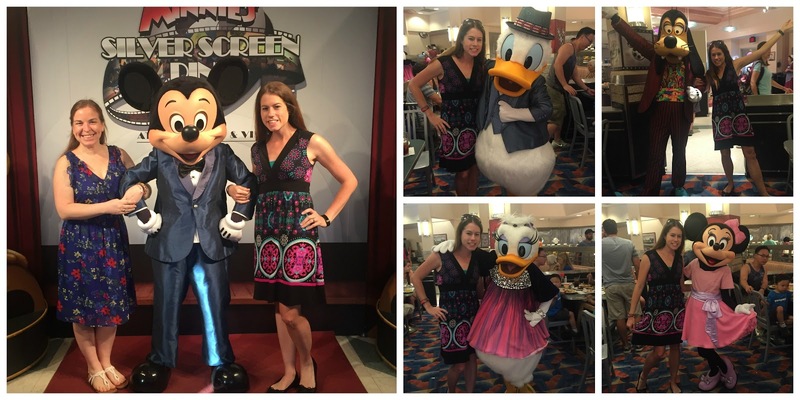 Kory and I went to Disney Springs to see the movie Money Monster and walk around some. We had drinks and appetizers at Boathouse and then dinner at T-Rex so I could cross it off my list! I worked in Gangster at night. We won our first game but lost our second game. Luckily it's a double elimination tournament! I met up with my dad for dinner at Boston Lobster Feast. So much yummy seafood! After school, Chelsea and I headed to Disney Springs to see the newly opened part. It's sooo pretty! And we tried out The Daily Poutine. I just tried the classic version first. It was delicious! Kory and I booked a Disney Cruise for our 5 year anniversary! So excited! We signed all the loan papers for our house! Kyle and Kim came down and we went to Teak for dinner and trivia. I had the Waffle Burger. Yum! Kory, Kim, Kyle & I went to Universal. The boys had bought these matching shirts last time so Kim & I got some to match. Then I met up with Becky (Disney in Your Day) for dinner at Diamond Horseshoe and then we hung out with some princesses. I worked in Tour Guide and then met up with Kelly, Ron, Chelsea, Bob & some other friends for one last trip to the Flower and Garden Festival. 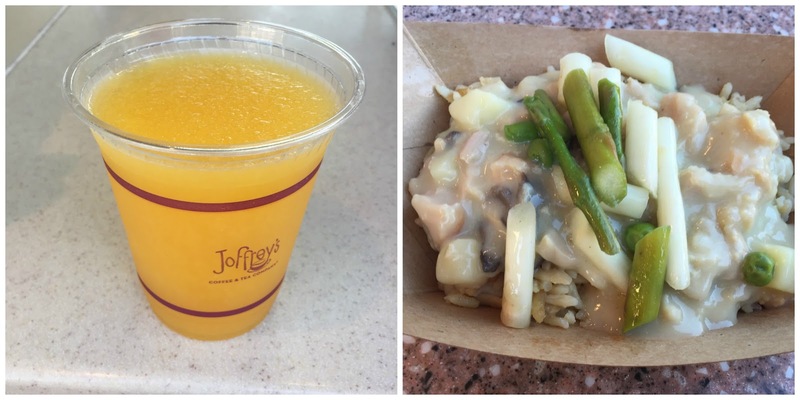 ~Joffrey's Tea Company Future World East: LemonRita (A frozen Lemon-Lime delight blended with 1800 Silver Tequila or Grey Goose Vodka). I chose the vodka and it was so refreshing! Faith, Ava Joy and I went blueberry picking! 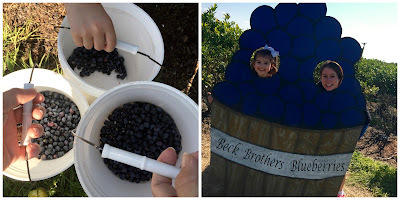 It was so much fun and I think I ate as many blueberries as I picked! After school, Faith and I got pedicures at MC Spa. I love this place! They give you a great shoulder massage at the beginning! Then I went to Pam's birthday at Teak. A friend and I each split the Glazed Donut Burger and the Cronie Burger!! Kory and I drove up to Orange Park to drop Bella off with my parents, then the four of us went to dinner at Metro Diner. I had to try their famous Fried Chicken & Waffles. Then Kory and I drove to St. Augustine to check into the Bella Bay Inn since I would be coordinating a wedding the next day and Kory would be helping to set up. 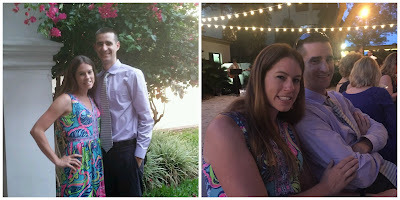 I helped coordinate Karen & Jonathan's wedding and Kory and Kyle helped set up. It was so pretty! Kim and I went out dancing after. We picked up Bella and drove back home. This past week was Teacher Appreciation Week and boy was I spoiled!! It was so fun! Starting around the 4th inning, it started lightning really bad. They called the game but it started POURING while we were in the dugout. We tried to wait it out but we were still getting drenched so we eventually headed to the car, completely soaked! This was the last dance class of this session. I need to decide if I'm going to sign up for the next one or not. Kory and I headed to the Ocoee Taco Company to meet up with Faith, Jordan & Ava Joy to celebrated Cinco de Mayo. It was a little party! Yummy food and a bounce house for the little ones! Then Kory and I tried out Sweet Jessie's Ice Cream. They had some fun flavors! 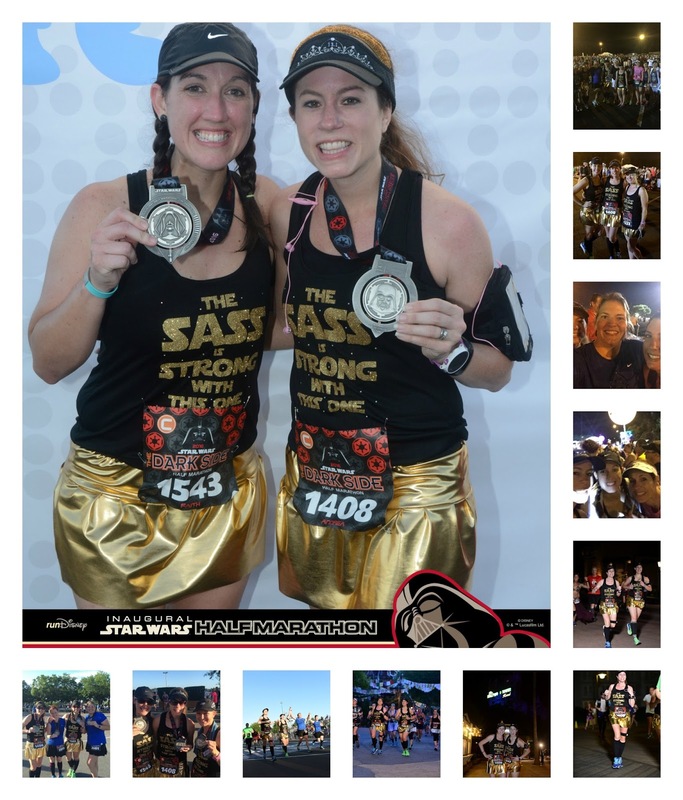 I went to an MRTT meet-up at Servandos for more Mexican food and margaritas! It's always great to get together outside of running! 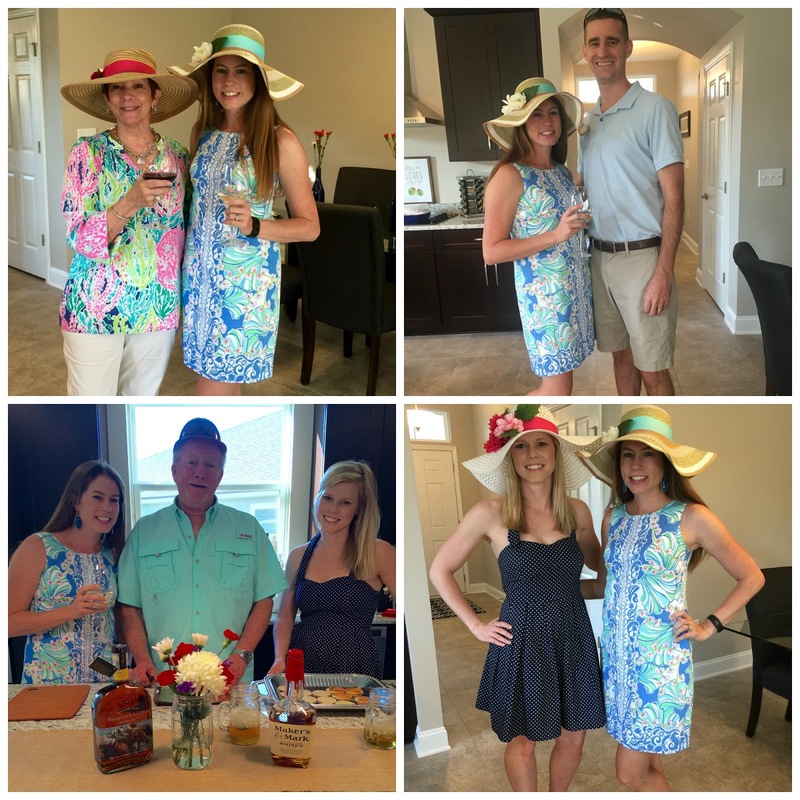 Then Kory and I drove up to Orange Park for a BBQ at Steven & Lindsay's new place to celebrate Mother's Day. It was Kentucky Derby themed! We had a Mother's Day breakfast and then drove back home. It was a quick trip! I did 2 shorter runs this week and my ankle is feeling okay so I might try to make my way back slowly! 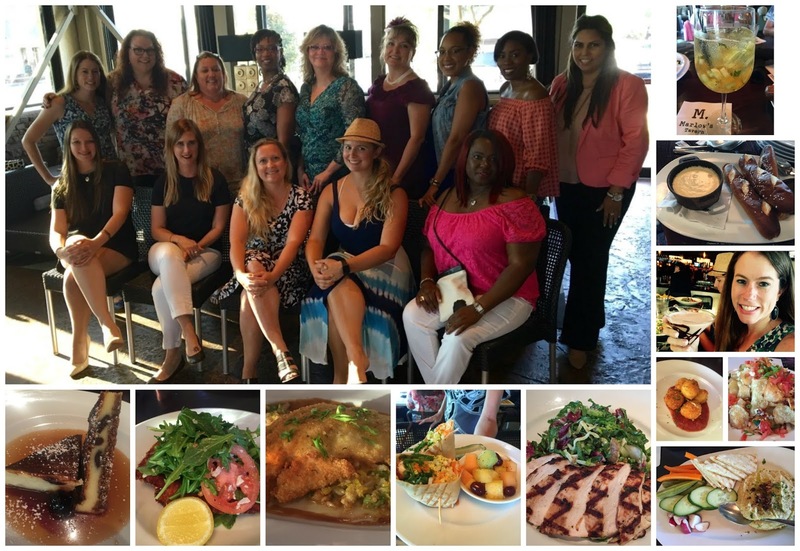 We had an MRTT night out at Plant Street Market. It was fun to eat, play games and just hang out outside of running! Then I headed to softball, where we came back to win. 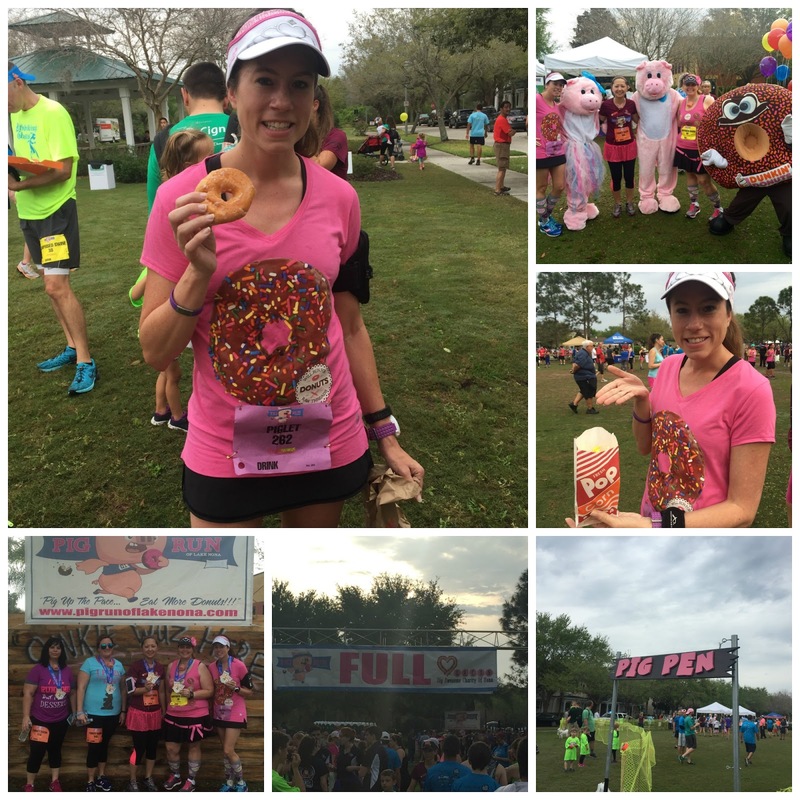 Wednesday--Diana's Dunkin Donuts birthday run..1 mile in 10:01. Kelly, Kacie, & I had Girl's Night at my fav--Melting Pot! Yum! Kory and I had dinner at Cooke's of Dublin before going to see the Jungle Book. Since I love anything deep-fried, I had to tried the Battered Burger & Chips (Hand battered beef burger topped with garlic mayonnaise, tomato chutney and mixed greens) although I had it minus the tomato chutney. And since I love all things cheese, I had to get the Irish Vintage Cheese & Bacon Dip. The burger was only okay but the cheese dip was delicious! And the Jungle Book was really good too! I had the school carnival that night. I love seeing all the kids out! Kory made a delicious steak dinner with mushrooms, mashed potatoes, and lobster ravioli! This race was rough! It didn't start until 8 and was way too hot. I had to stop way more than normal. 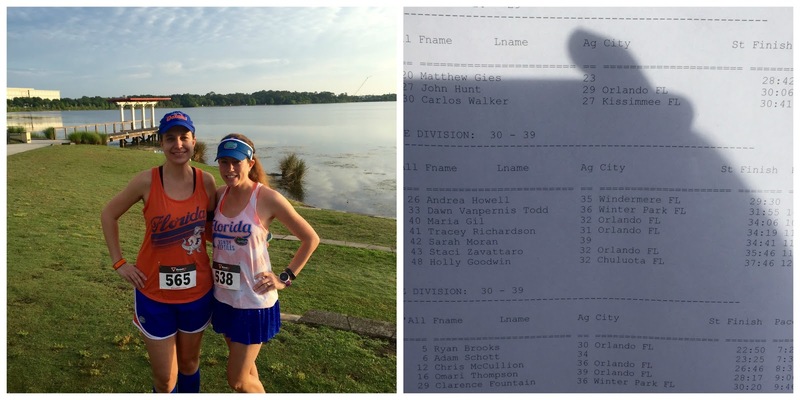 I was first in my age group, but my time was 4 minutes off my normal time. They need to make the race earlier in the year. 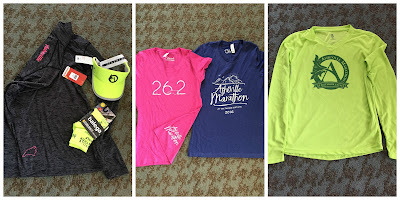 It was Boston Marathon day! 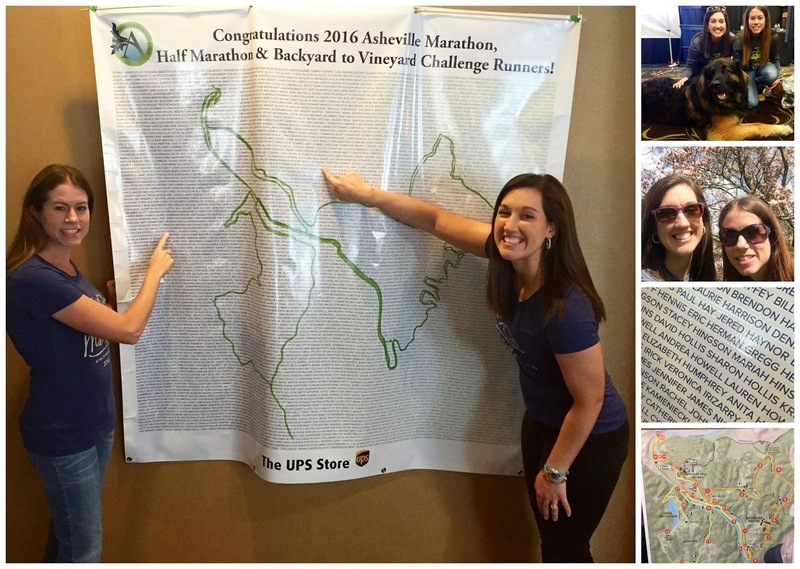 I had so much fun tracking 2 of my friends...so proud of them! I went to happy hour at Johnnie's Hideaway with Dad and we brought Bella. We lost in softball, but at least it was to the same team as before. Thursday--1 mile in 10:59 Liz's Starbucks Birthday run. Kyle was in town so he and Kory could go to Universal during the day so we all went out to dinner later. Kory and I had date night at Disney Springs. We had dinner at Portobello then got drinks at Jock Lindsey's Hangar Bar. I went to a baby shower for Nicola during the day. And then a birthday party for Carla at night. I worked in Tour Guide at the ride. 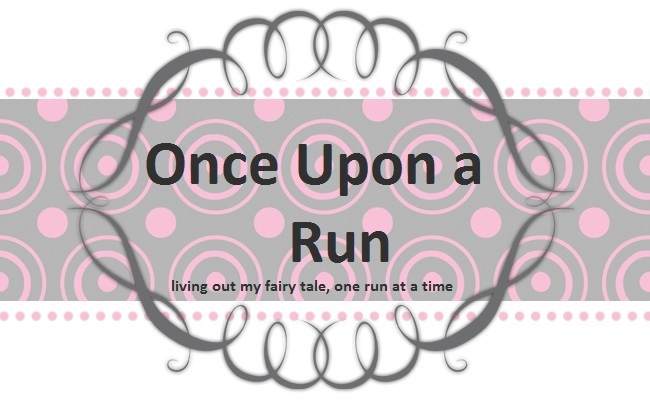 Last week I slacked on doing a post since I'm taking time off of running because of my ankle so it was a boring week. But this week was an exciting week full of a half marathon and signing the contract to build a house! After dance, Chelsea and I hit up the Flower & Garden Festival. 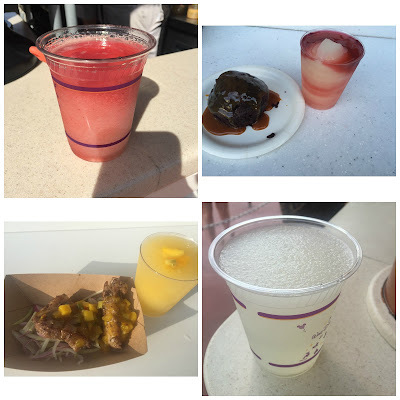 This time I visited the Joffrey's vendor by Disney Traders for the Tiki Torch--frozen passion fruit thrills with juicy sweet flavors, a hint of tartness, blended with Grey Goose Vodka. And while sipping that, we walked over to Bauernmarkt: Farmer's Market in Germany to get the Chicken Fricassee with Green Asparagus and Peas served with Uncle Ben's Rice Pilaf. Kim & Kyle were in town so the four of us had dinner at Whispering Canyon Cafe and then enjoyed drinks at Trader Sam's. The four of use had dinner at Bahama Breeze and then went to my happy place--Jellyrolls. My brother and Lindsay were town for a few hours so the six of us went to lunch at BJ's Brewhouse. Both Kyle & Kim, and Steven & Lindsay have just bought/built new houses so our lunch revolved around house talk! It was so nice to have both sides of the family together! I worked in Tour Guide at the ride during the day. We won and then headed to a post-game dinner at Ale House. After dance class, Chelsea and I headed back into the Flower & Garden Festival. This time we went to Urban Farm Eats. I got the Seared Pork Tenderloin with Mushroom Ragout, Spring Vegetables and Marble Potatoes along with Avive Natural Peach Sparkling Wine from France. 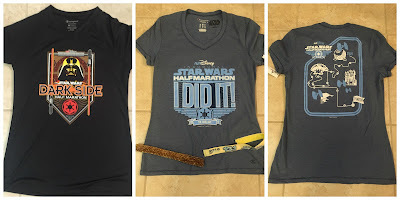 We went to the expo for the Star Wars Half Marathon. I'm not a Star Wars fan so I think this was the least amount of money I've ever spent at an expo! All I bought was a gold Sweatyband for my costume, and then the I Did It shirt and Sweatyband that I always get. We signed the contract to build a new house!! We've been looking for 5 years and it's finally done! (well, we have to wait for the house to be built, but you know what I mean!) I'm so excited! Hopefully we'll be moved in by the end of September! To celebrate, we brought Bella with us out to dinner at Sea Dog. Kelly and Ron bought their puppies up to meet us. Kory and I went to see Allegiant and then had dinner at Pizza@Artegon. I love creating my own pizza with as many cheese toppings as they have! I always have so much fun running with Faith! And I love that Photopass is now the photographers so Faith gets all the pictures free since she has a top Annual Pass! Softball had a bye so the team had a little outing to watch the Braves Spring Training game. It was belly dancing night. I've learned that while I might be pretty okay at Irish Step Dancing, last week (latin dancing) and this week showed me that I have absolutely no hip action! We had portfolio night at school. It was a looong day! I took Faith over to see the house we liked and to take more pictures. Then Kory and I headed to the Studios. 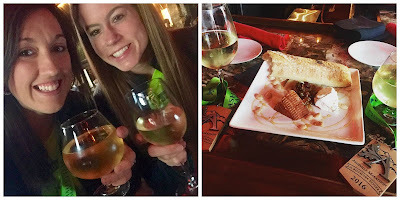 We ate dinner at the Hollywood Brown Derby out on their new patio bar. Then we headed over to the Streets of America to say goodbye since it's being demolished. Sigh. I'm not happy about the changes. The park will no longer be what it was created to be. It makes me sad. 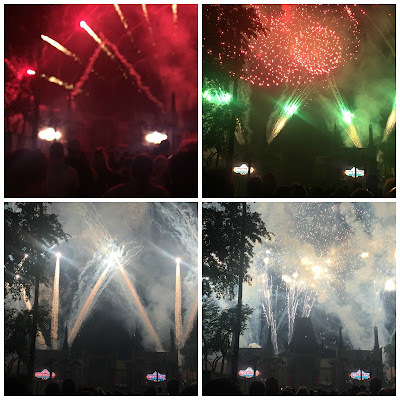 Then we watched the Star Wars fireworks before they change it up. 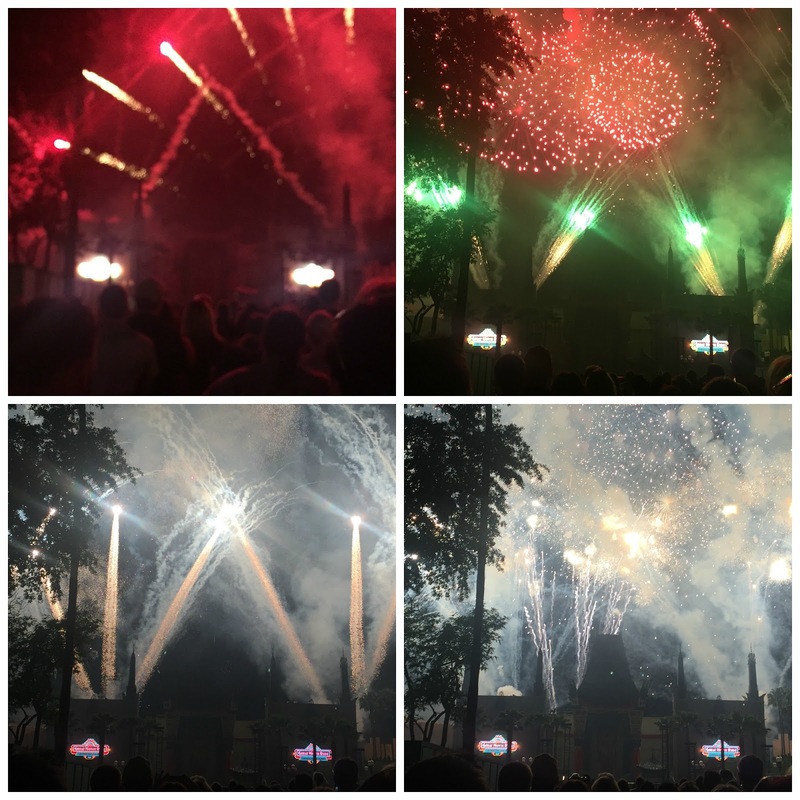 I'm not a Star Wars fan but it was neat to see them over my ride and the actual fireworks were pretty cool. We had dinner then took Bella to Jeremiah's Italian Ice. She even got a pup cup! Kory and I went to go ask some more questions about the house and ask about how to go about signing the contract. Only to find out that it had sold that morning. I was really upset. Thankfully the sales guy emailed me a few hours later with an even better floor plan. While it would unfortunately mean having to wait another 6 or so months, it will be exciting to watch our house built from the ground up. We're hoping to get that approved and sign a contract! We headed to out to run errands and ate at Zaxbys. I went to one of my first grader's birthday parties and then headed to Epcot to meet friends at the Flower and Garden Festival. ~ Joffrey's Coffee & Tea Company in Canada: Spiked Chai Latte (Frozen Chai Tea Latte with Chai Spices, creamy Vanilla, and blended with Bailey's Irish Creme). And I forgot to take a picture. Oop! It was spring break but Kory was out of town so it was a very low-key week for me. We lost our first softball game of the season. It was a close one though! After dance, Chelsea and I headed in to the Flower & Garden Festival to Jardin de Fiestas (Mexico). I got the Tacos de Camaron (Tempura Shrimp served with Hibiscus Flower, Caramelized Onions, and Habanero Sauce) and a Elderflower Watermelon Sangria. Dad was in town so we met up for Happy Hour at Fishbones. Yummy oysters! Kory got back into town and I met up with him, his twin brother, and his dad at Hurricane Gill & Wings for lunch. Then since it was March Madness, we ate dinner at Ale House so we could watch the games. We got up and headed to Disney Springs to have lunch at Earl of Sandwich and then see Zootopia. I wasn't sure if I would like it, but it was really good! My friend Derek worked on the movie and did a great job again! We went to look at the houses we're considering again and then met up with Dad at Bdubs to watch more March Madness. We took dad to look at the houses. I think we're getting close to making a decision! We had dinner at Yellow Dog Eats and headed home because of the storm. Happy Easter! Kory had to work (so did Faith's husband) so we took the Munchkin to Bonefish Grill for dinner. 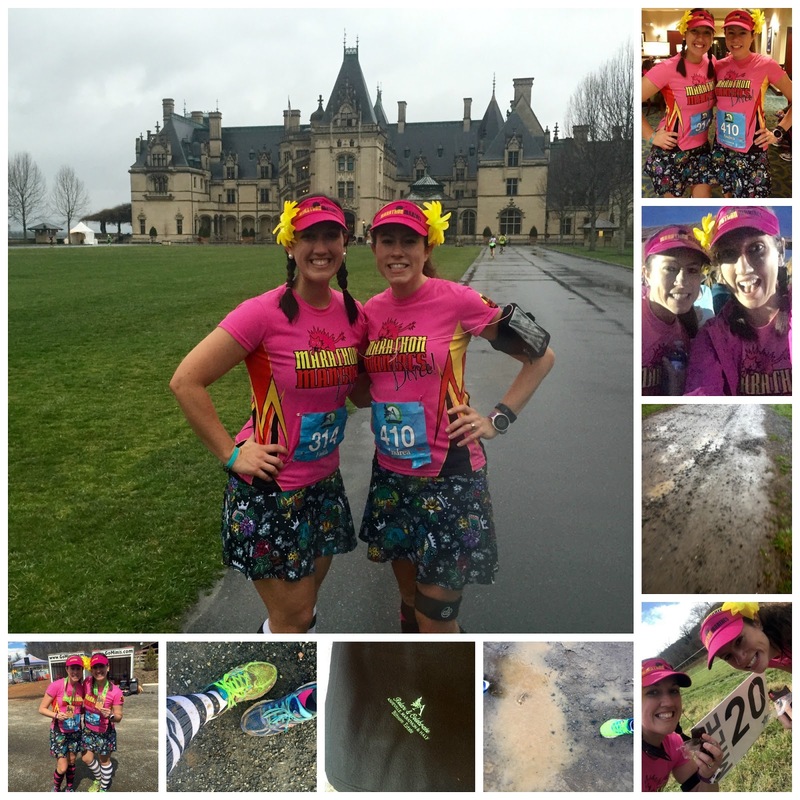 Last Sunday I was still in Asheville for the Marathon so this is a double dose of a weekly recap! We won our softball game. I attended a VIP event at the Melting Pot with Kelly. Faith and I flew to Asheville late that night and stayed in the Holiday Inn Downtown. It was part of the package that Faith had won. We took an Uber over to the Grand Bohemian Hotel where we'd stay for 2 nights. It was sooo nice! After checking in, we checked out the Asheville Marathon Expo. I love expos! We did a little shopping (and found a Lilly store!!) Then we went back to the hotel and enjoyed a glass of champagne before checking out our room. That night we went into downtown Asheville. We ate dinner at Farm Burger and had amazing dessert at the Chocolate Lounge! Then it was bed time since we had to be up early for the race. The race was seriously the hardest thing I've ever done. I'm so glad that I had Faith by my side! 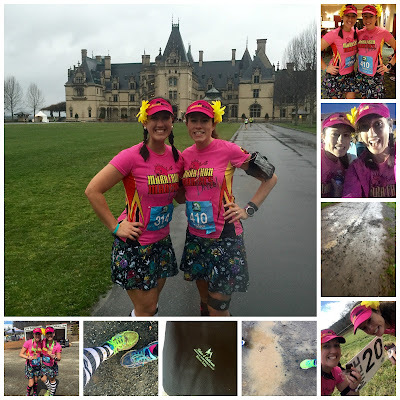 After the race we got a wonderful massage then headed back to the room because we were disgustingly filthy and muddy. After showering and a quick rest, we decided to have a drink in the hotel bar, the Red Stag Grill, and there was a cheese plate so I had to get it. Then we went to the Cantina and had a feast of chips and salsa, guacamole, queso, and a grilled avocado. I enjoyed a margarita and Faith had a beer flight. Then we headed back to the hotel because we were exhausted. We slept in. We were going to tour the Biltmore House but for the price, we weren't sure we'd have enough time. So we walked around to kill time and had lunch at the Corner Kitchen and then dessert at this cute bakery. Then we caught our flight home. I started a new dance class at Epcot. I loved it! The first half of the class is learning a routine--each week is a different theme. This week's was Irish Step Dancing. Then the second part is toning the body. It definitely kept me entertained! 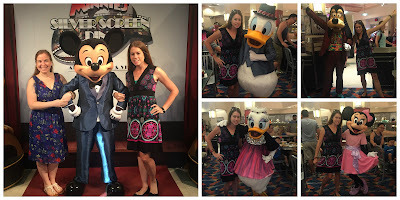 Cori and I went to Minnie's Silver Screen Dine at the Hollywood Studios. The characters were so cute and the food was yummy! I went to Jeni's house for some girl time--watching tv, eating food, and drinking wine! The Yelpsterhood went to dinner at the Wine Barn. Service was iffy but the pizza was delicious! Then we went to dessert at KrungThep Tea Time. I had the Monkey's Brick Toast and a Thai Iced Tea. It was amazing!! There was more dirt roads!!! I was hoping for a large PR but only got around a 45 sec one. But it was still a fun race and I'm excited that it's a challenge!